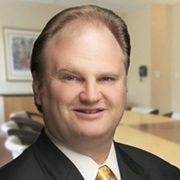 Todd Farmer | Farmer & Betts, Inc.
Todd is a co-founder of F&B Pension Consultants. He is a pension plan expert driven by the belief that our private retirement plan system works. He and his brother founded F&B together with Miley Betts, with the goal of serving as trusted experts to offer custom retirement plans and third party administration to benefit the owners and employees of every business they serve. Todd, his brother, Tref Farmer, and Miley Betts created Farmer and Betts Pension Consultants after years of experience in the third party administration business. They are passionate about offering the highest level of service to build trusted relationships with the financial professionals they partner with. They understand that a financial advisor is the most critical factor in the success or failure of a retirement plan. Todd partners with financial professionals to design and implement pension plans that meet the unique needs of business owners and employees alike. Todd understands that many financial advisors do not work on 401(k) plans every day and benefit from partnering with an experienced specialist. It’s his goal to keep the advisors he works with in the driver’s seat so they can control the process as well as nurture their relationships with clients. He often partners with financial advisors over the long term, keeping them up to date and educated on the retirement plan industry, helping to grow their retirement plan business, and making their job as a retirement plan advisor easier. Financial professionals choose to work with F&B Pension Consultants because of their trademark service and specialized expertise. As a dedicated third party administrator, the firm’s only focus is on retirement plan design and administration. This concentration allows F&B Pension Consultants to offer customized and creative plan design that helps their financial advisor partners to close more opportunities and helps business owners create plans that will be beneficial for the long term. Todd and his team provide education and expertise on plan design, DOL regulations, IRS rules and best practices for creating customized defined benefit and defined contribution plans. He manages a team of F&B Pension Consultants that work together with financial advisors to serve Washington, Oregon, Colorado, Louisiana, Georgia, Illinois and California. Todd’s goal is to provide the highest level of third party administration and service, not only to his financial advisor partners, but to the businesses they serve together. Todd and his firm, F&B Pension Consultants, provide best in industry administration of retirement plans. The firm has worked with all types ranging from start up plans to multi- million dollar corporate plans. Many national investment companies and broker dealers have screened and accepted F&B Pension Consultants onto their preferred list of third party administrators. We are a fee-only third party administrator that does not offer investments or insurance products. Our team of experienced pension consultants is what makes our firm different. We have high standards regarding who we bring on our team and we hold each member to rigorous expectations for service and expertise. Our team members are incentivized accordingly, prioritizing client satisfaction as our highest goal. While our firm is growing, we are careful to expand our business slowly, through organic growth, instead of through acquisition, in order to continue to serve our clients with the personal attention they are accustomed to. Third Party Administrator Specialties include Retirement Plan Design, Retirement Plan Administration, 401(k) Plans, Prevailing Wage Plans, ESOP, Cash Balance Plans, Defined Benefit Plans, Defined Contribution Plans, Pension Plans, Profit Sharing Plans. F&B Pension Consultants serve states including Washington, Oregon, Colorado, Louisiana, Georgia, Illinois and California. Growing up on the Northern California coast, Todd developed a love for the beauty of nature and for outdoor adventures. He attended California State University at Chico, where he studied business administration and management. Today, Todd resides in Tualatin, Oregon with his wife and two children. He holds his pilot’s license and loves to fly his Maule M5 Bush Plane to hard to reach destinations in Oregon and has ventured as far south as California. He also is passionate about music, playing lead guitar in an alternative country band called Whiskey or the Concrete, with influences such as Johnny Cash and Ryan Adams. Contact Todd Farmer today at [email protected].